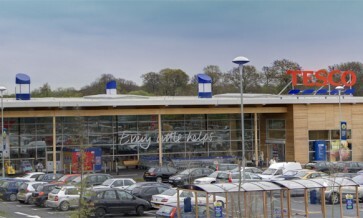 A major re-generation project delivering a new 25,000 sq ft (Net Sales) eco-food store, Tesco’s, on this town centre site, re-energising the retail centre and drawing shoppers back to Cefn Mawr. The scheme involved the relocation of the Cefn Druids Football Club to a new purpose built stadium secured and built by The Pickstock Group, half a mile from the original ground. The existing facilities were poor and failed to meet Welsh FA and EUFA standards and have been replaced with a modern, fully compliant stadium which will allow the Cefn Druids to compete at both the National and European level.